There are 41 reviews of Prada Amber pour Homme Intense. Upon first wearing Amber pour Homme Intense I was struck by how pleasant and easy to wear it is. This is a very well rounded composition without any off-notes, and right away you realize what it is. With further wearings of ApHI the vanilla began to bother me. I rather enjoy vanilla - Habit Rouge is a favorite of mine - but Prada went too sweet with the it. That sweetness might have worked for me if it was offsetting something acrid, dry, or interesting, but here it is paired with a perfectly rounded group of pleasant notes. Prada's Amber pour Homme Intense would be ideal for someone that just wants something that smells nice, and likes sweet vanilla. I'd gladly recommend PApHI to someone with different tastes than mine because it is very well constructed, but I won't be purchasing a bottle. Daring fragrance that must be at least smelled. It's not for everyone due to it being powdery, soapy, feminine, and patchouli happy. It's not versatile or a big compliment getter either. Comparison wise it reminds me of what Bulgari Black is to Midnight in Paris. Everyone loves Midnight in Paris, but it's the safer version of Black. Can't get enough of this one! It has a classy powdery, citrus-vanilla quality that I never get tired of. It's a definite step up from the original (which isn't bad by any means), and has decent staying power. Too Strong. Skip this one and get the original instead. Nothing great. I don't get much Amber. Gets very powdery very soon. For the price not bad. While I find Prada Amber to be a carefully crafted study in the balances between mainstream and luxe, masculine and feminine, and brightness versus richness, the Intense version feels to me less rigorously plotted and more like some perfumer was asked to make an amber perfume that would appeal to Macys customers who would think an actual amber scent is too "girly". As such, it's basically a fairly standard vanilla amber perfume smothered in steretypical masculine darkness, a hard to pin down mix of pine and chocolate and metallic iodine and ink that sounds interesting but is really just more of that aquatic "woody amber" chemical smell that designer scents use to dumb themselves down. Oddly, there's also a ton of nostril tickling powder on top, which I suppose is intended to class things up, but just feels weirdly unbalanced to me. Prada Amber Pour Homme Intense Eau de Parfum 3.4 oz. 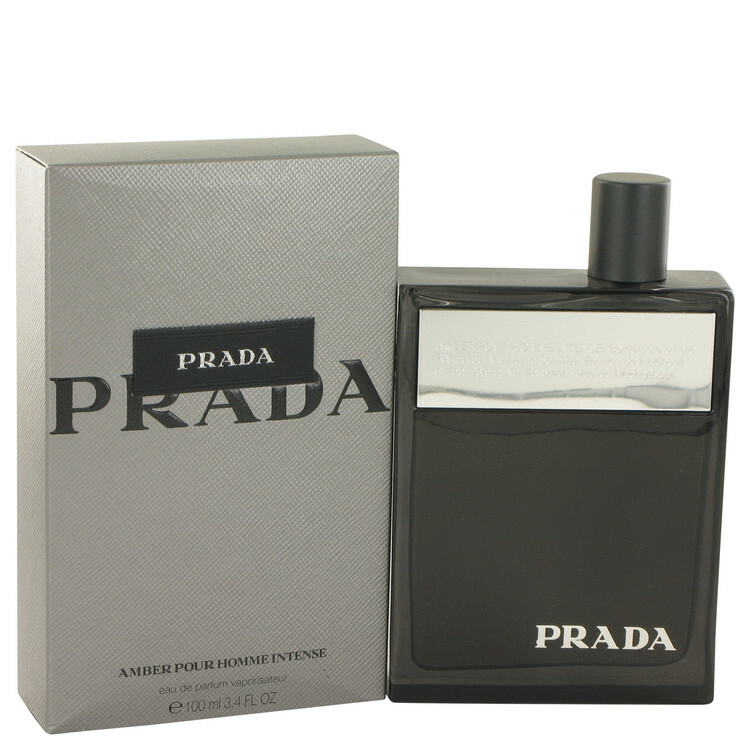 Prada Amber pour Homme intense hard to find/discontinued soon? 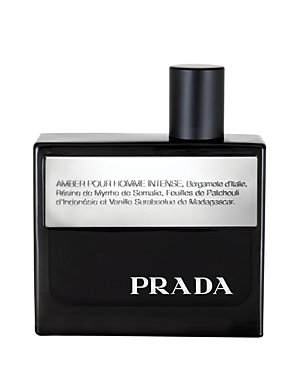 Prada Amber Pour Homme Intense? 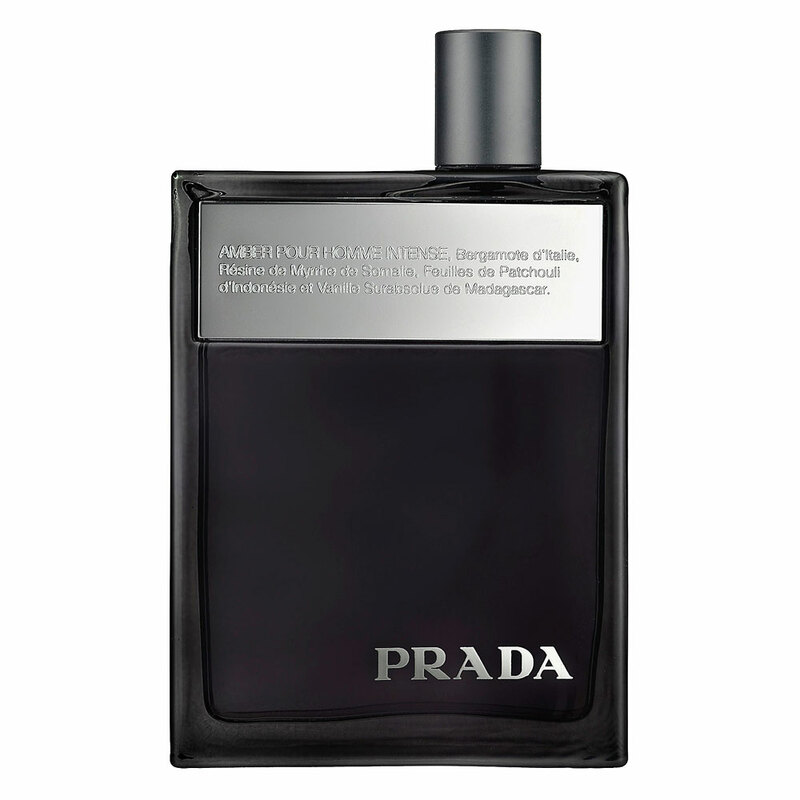 Prada Amber Pour Homme Intense vs La Nuit de L'Homme. Leather note in Prada Amber Pour Homme Intense?